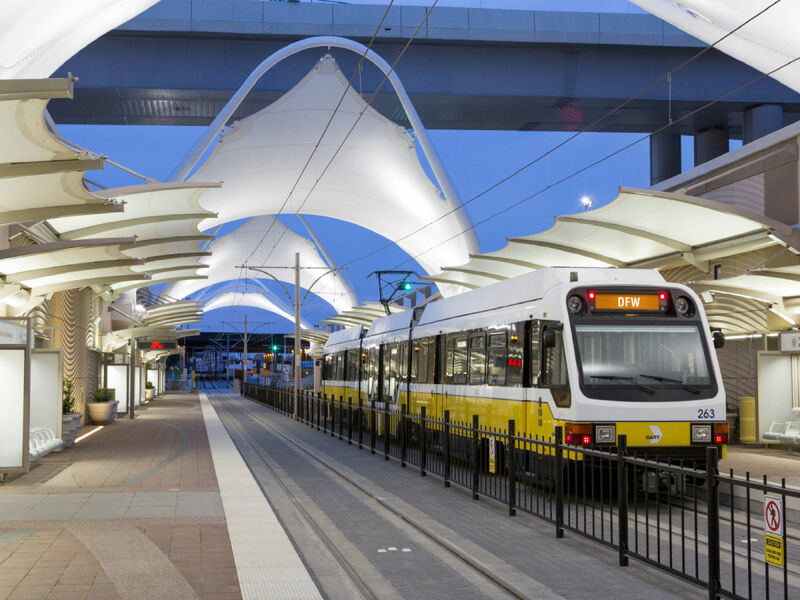 In fantastic transportation news, Dallas Area Rapid Transit has bumped up the completion date on the opening of its rail line to Dallas/Fort Worth International Airport: DART's 4.7-mile extension of the orange line opens to the public on August 18. The extension was originally projected to open in December 2014. But according to DART president Gary Thomas, a combined effort from construction partners, DART staff, and support from the Federal Transit Administration and Federal Aviation Administration hastened the opening months ahead of schedule — and under budget. Those traveling outside of security can use the green Terminal Link shuttles. Travelers inside security can use the SkyLink tram. 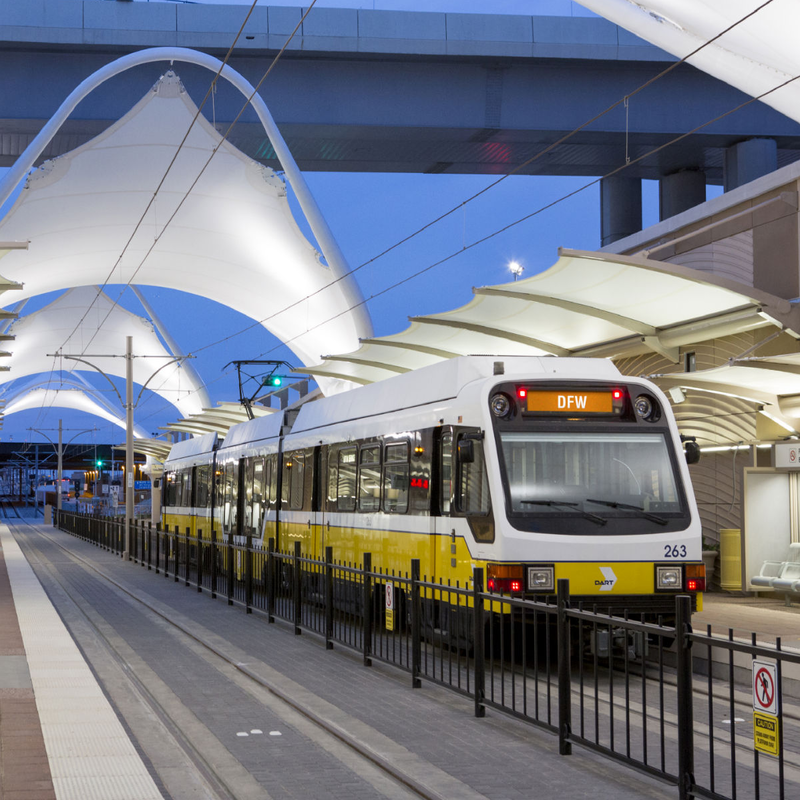 The orange line extends from downtown Dallas northwest through Irving and Las Colinas, including stops at the University of Dallas and Irving Convention Center. 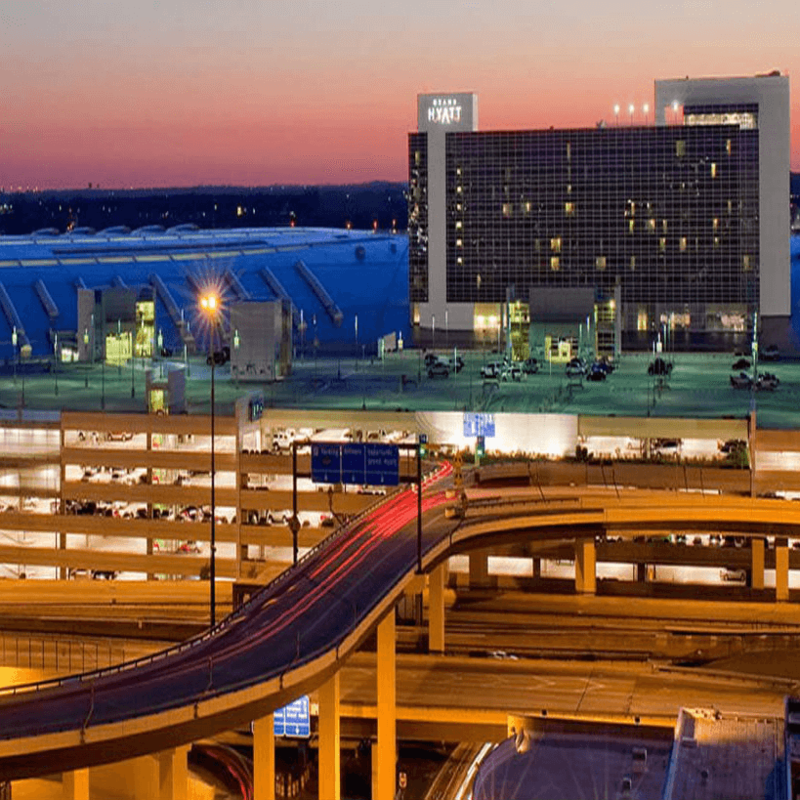 The current public transportation option is a multi-step route that requires travelers to get on the TRE, then take a shuttle to the airport, then take another shuttle to the terminals. 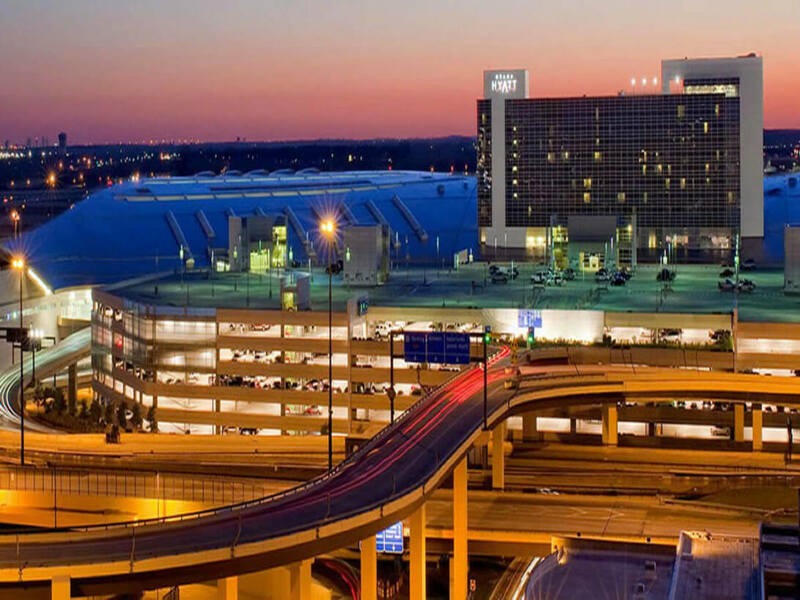 The opening of the station at the airport not only gives travelers and airport workers a cheaper alternative to expensive cabs and airport parking, but it also creates a more accessible route and a direct trip to downtown Dallas, which makes the area more vibrant and meaningfully urban. 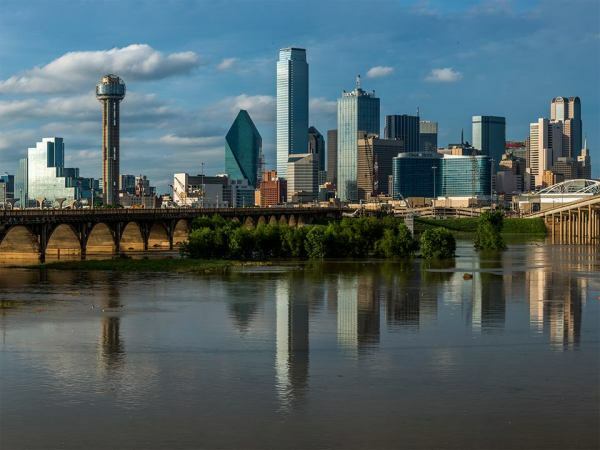 "For international travelers who come from Europe or Asia, this is actually a big deal," airport spokesman David Magaña said in an interview with the Dallas Morning News. "They are used to flying into airports where you land and catch the train into the city center."